LIGHTSPEED is a wireless technology created by Logitech to achieve the same level of gaming input transmission in wireless devices that you’d expect from wired ones. The goal of course is to give you gaming peripherals with no wires and, more importantly, no lag. Previous implementations of LIGHTSPEED can be found in the Logitech G903 and G703 gaming mice. At Pax West, Logitech unveiled the latest product pair to use their lag-free wireless technology. 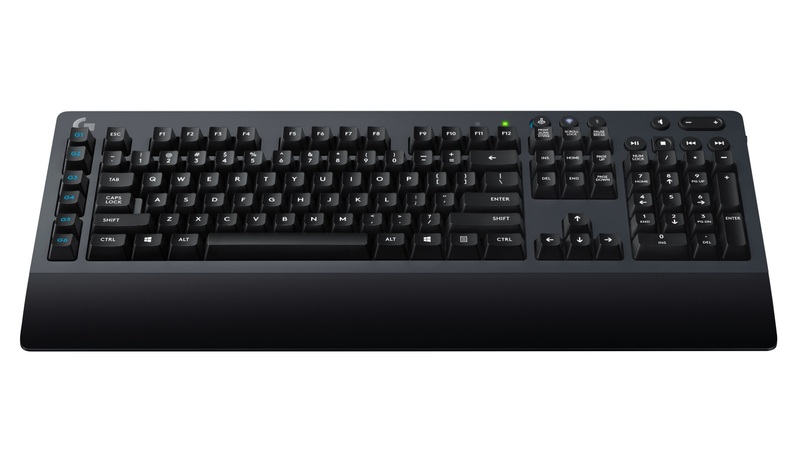 Enter one of our Editor’s Choices of Pax West 2017, the Logitech® G603 LIGHTSPEED Wireless Gaming Mouse and the Logitech® G613 LIGHTSPEED Wireless Mechanical Gaming Keyboard. Each of these products will feature the one-millisecond report rate, courtesy of LIGHTSPEED. They will also have multi-host functionality, allowing you to seamlessly switch between active LIGHTSPEED and paired Bluetooth connections. This opens you up to having two wirelessly connected devices to each peripheral as needed. A simple pair of AA batteries will power each of these peripherals for at least 500 hours. And of course, each of these Logitech peripherals will be customizable via Logitech’s customization engine, LGS (Logitech Gaming Software). 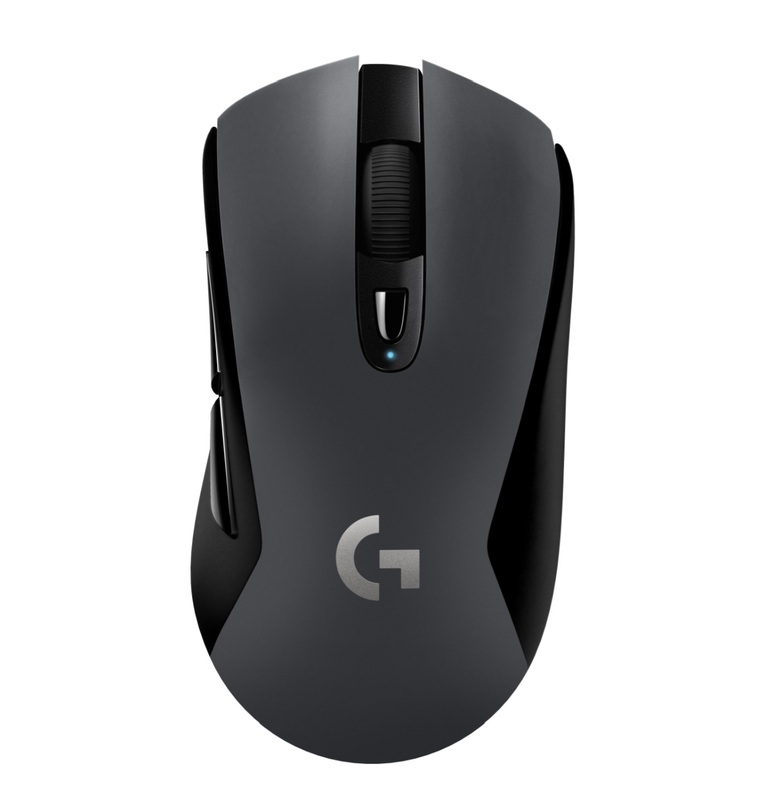 The G603 features Logitech’s new HERO Sensor, an optical mouse sensor built around accuracy and power efficiency. The G603 sports a sensitivity topping off at 12,000 DPI and will use with different power modes in conjunction with multi-host. HI mode will give you the mouse’s top performance with a 1ms reporting rate and 500 hours of battery life. LO mode will give you a more energy-cautious 8ms reporting rate and will boost that battery lifespan to up to 18 months. Want to lighten the mouse’s weight? The G603 still supports full performance with half the battery life by being able to run on a single AA battery. The G613 houses Logitech’s very own Romer-G key switches, maintaining an actuation point of 1.5mm and touting a lifespan of 70 million clicks. You also get six programmable G-keys for assigning functions and custom-made macros as you see fit. The G613 will give you up to 18 hours of battery life off of a pair of AA batteries. The keyboard also comes with a phone stand. Simply plop your favorite mobile device on the stand and use the G613’s multi-host functionality to hop between inputting on your PC and your mobile device.